That’s how it starts and will continue with no end in sight. For optimism and hope have no place in the 41st millennium but you already knew that. To me, the setting of this bleak, distant future in the year 40,000 is the hook and what keeps me coming back for more. I love star trek and the Utopian future of peace and exploration, the end of money, medical and technological innovations, and the kindness of humanity. But sometimes, lots of times, I want to participate in 40K’s world of countless humans, countless Xenos, and the ever present threat of Chaos. Being a human in the 41st millennium is dismal. And through the game, the models, and the lore, players discover a future which I hope, for my distant ancestors’ sake, never comes to be. But as I said, hope has no place in the 41st Millenium. Over the coming months and years, I will be writing short blog entries for Geektopia to explore Warhammer 40,000 8th Edition. Please Note: These blog entries will be entirely unofficial. Warhammer 40,000 has been around for over 30 years now and the rich history of the game and its die hard community are its biggest strengths. 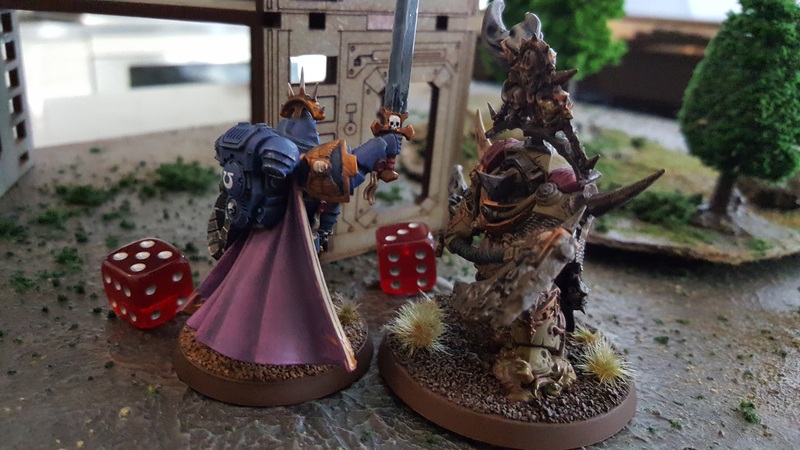 8th Edition came out in June of 2017 with revised rules and an excellent starter box called Dark Imperium so it’s a perfect time to jump into this hobby or as many call it The Hobby. It’s also a great time to start an ambitious 40K blog if I do say so myself. 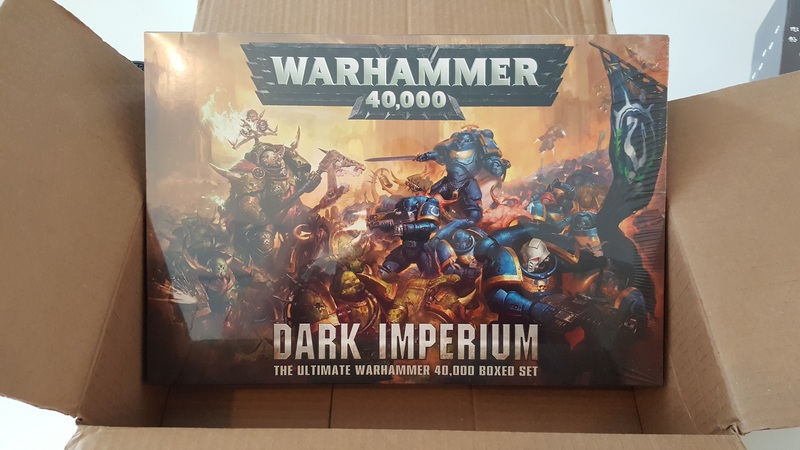 The Dark Imperium boxed set is the most popular of the newly released 8th edition boxed sets but I should note that there are also two smaller starter boxed sets called Know No Fear and First Strike but Dark Imperium gives you the most value. 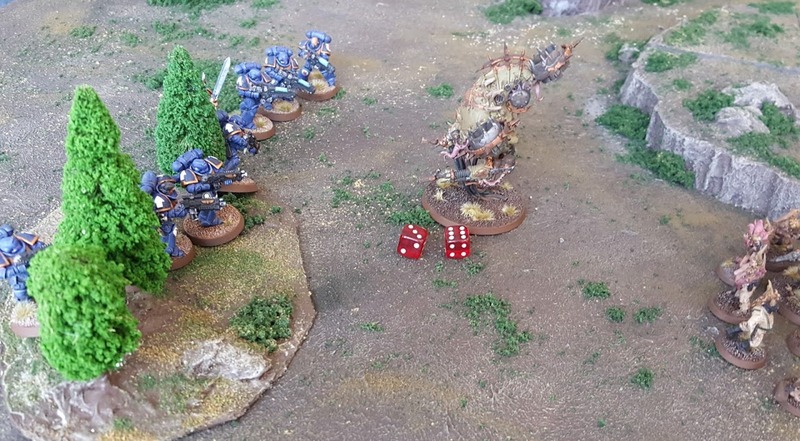 If you are okay spamming your army with duplicate units, maybe grab the Know No Fear boxed set to go along with Dark Imperium which enables you to add some more Poxwalkers and Chaos Space Marines building out your army further. That’s what I did. I’ve heard multiple people tell me Dark Imperium is one of the best kits ever released and I must agree that comes with a lot of value. It contains the hardcover rule book with not only rules but a lot of lore (or fluff depending on your perspective) as well as tips for building and painting your miniatures. The big value though is the models it contains. It gives you two army’s that total a little less than 1000 points. 8th Edition also allows you to build armies based on “Power Level” but I find most players still using points to have a more accurately balanced army. You get a Space Marine army and a Death Guard army. You also get some odds and ends like a minimal amount of dice and a couple transparent rulers for measuring distance. 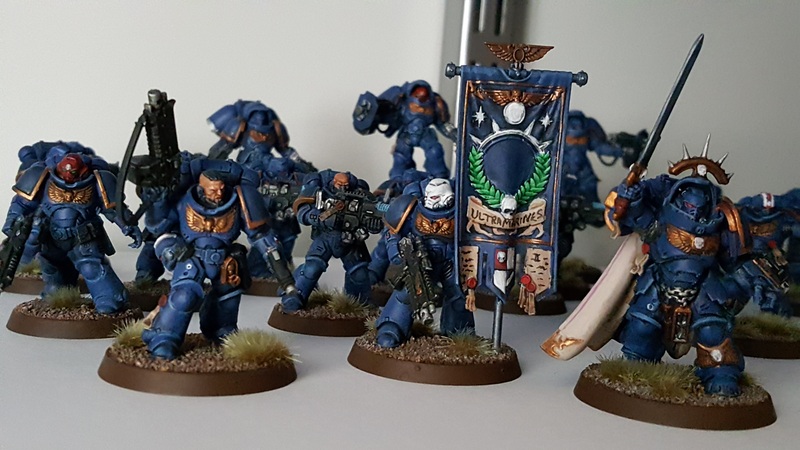 The Space Marine army, more formally referred to as Adeptus Astartes, can be painted in a number of Space Marine Chapters. I want to get something out of the way right off the bat. My space marine army are Ultramarines. The blue smurfs that many people love to hate on. There are some good reasons for this like the fact that they are the poster boys, squeaky clean, and a little arrogant. I think part of the hate is because you see them around a lot and people get tired of playing the same army. Remember though that this game started out as parody back when Rogue Trader was released and even though over the years it’s gotten more serious, I still think it’s best to remember the satire of this world. Also, with 8th Edition, The Ultramarine’s Primarch, Roboute Guilliman is back and some of the lore is working to change the Ultramarines image. 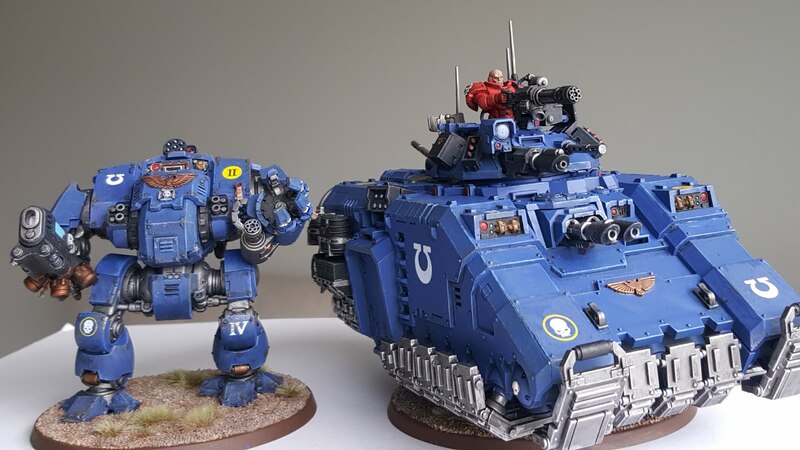 Anyway, I am just pointing out that I know some people despise Ultramarines. Let’s move on. 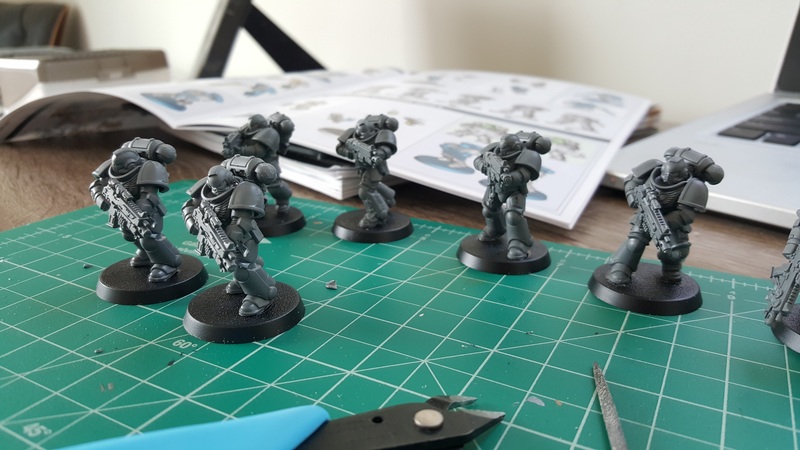 One of the biggest changes to Space Marines with 8th Edition is that it adds new models to the space marine army called Primaris Space Marines. They are taller, not as stubby, more expensive points wise, but also have 2 wounds instead of 1. In the lore, they have been implanted with 22 rather than 19 gene-seed organs which is pretty awesome. Regardless of ones opinion, this is the what the new models will be moving forward so lets get used to them. 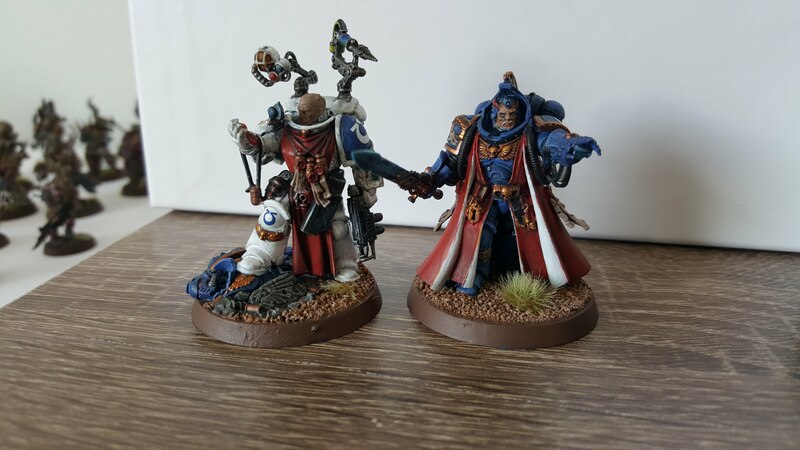 There are primaris librarians, apothecaries, captains, and more. Also, you’ll need a new transport to haul these guys around the battlefield since they are taller/bigger. 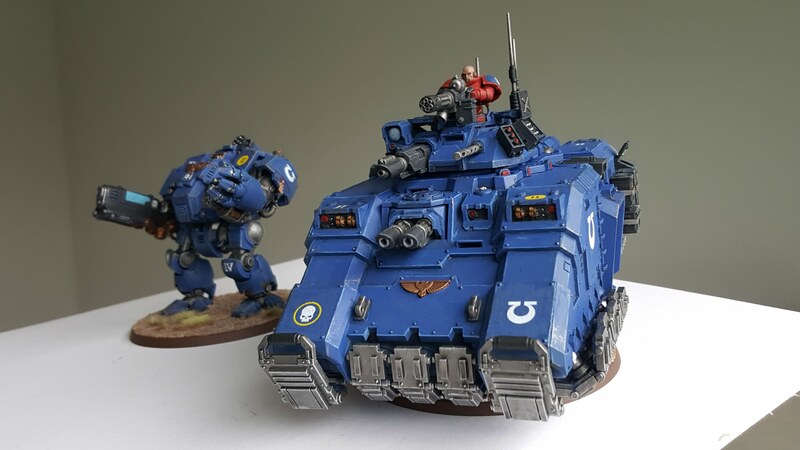 This new transport comes in the form of the Primaris Repulsor. It’s badass and I highly recommend this model but we’ll do a separate article on that later. The second army you get in the Dark Imperium boxed set is the death guard. They are pretty awesome looking although more cartoonish than grimdark. Personally, I think Games Workshop knocked it out of the park with these models. They also continued to release more models outside the starter box to the point where I didn’t know if we were going to ever see any other codex’s or new models from any other armies ever again. It seemed like every week we were getting new death guard miniatures and its was a fun 2017 because of that. 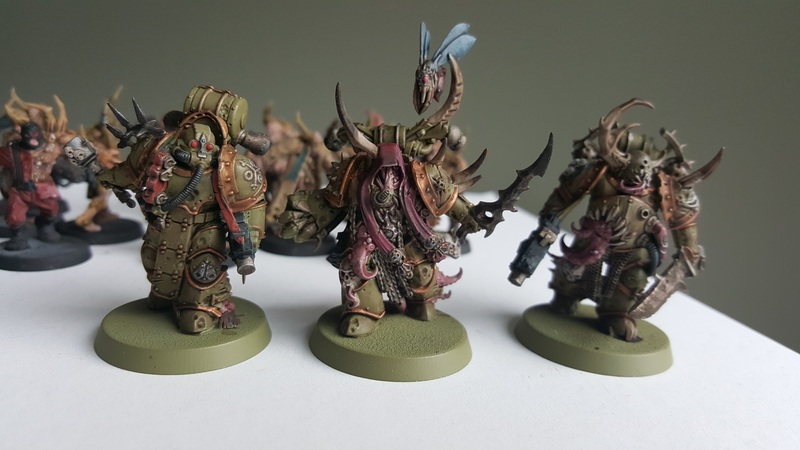 Death Guard are a specific Chaos army which are aligned with the daemon god Nurgle. Think festering wounds, puss, guts, rotten disease, and foul smelling everything. 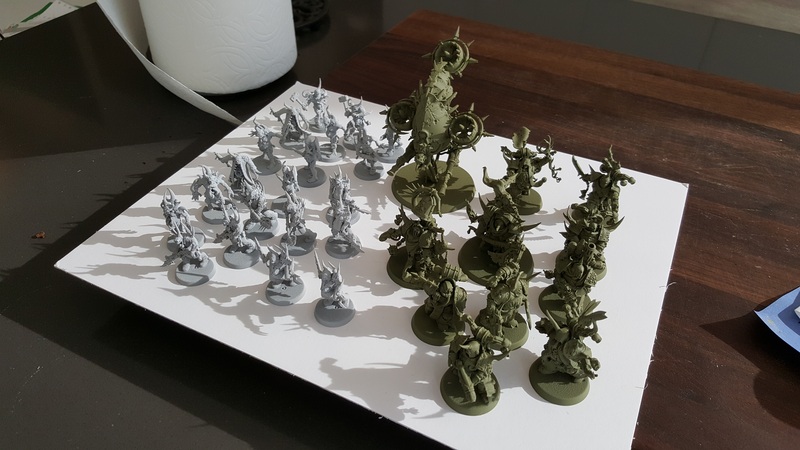 An approaching Death Guard army blots out the sun with foul insects so that your only warning of their approach comes in the form of ominous ringing of bells. By the time you see them they are spraying disease and infecting the planet. Its great fun! 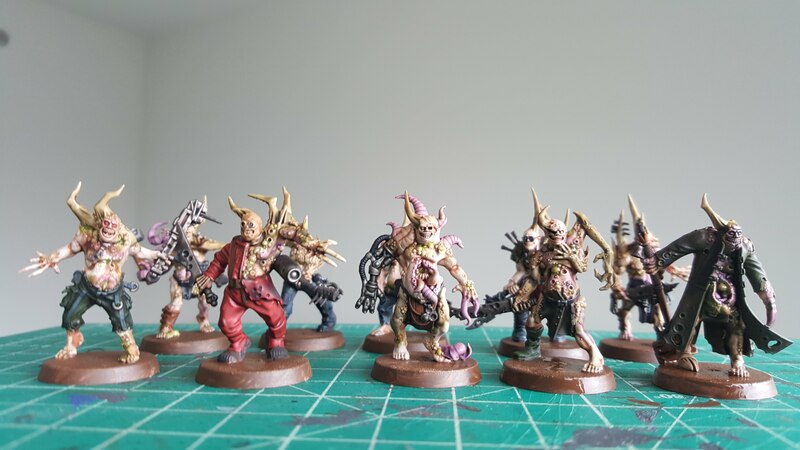 That’s the lore but in practice, you are basically fighting with chaos space marines, poxwalkers, and a variety of other Choas beings and vehicles, Choas Marines used to be regular marines but have been corrupted by Nurgle, Poxwalkers were once everyday humans who are infected and slowing transforming themselves into something much more disgusting compliments of Nurgles rot. I am a pretty big fan of how the Foetid Bloat Drone looks. Veteran players should check out the new boxed set from Games Workshop. If you are new to the hobby, now’s an optimal time to dive in head first. 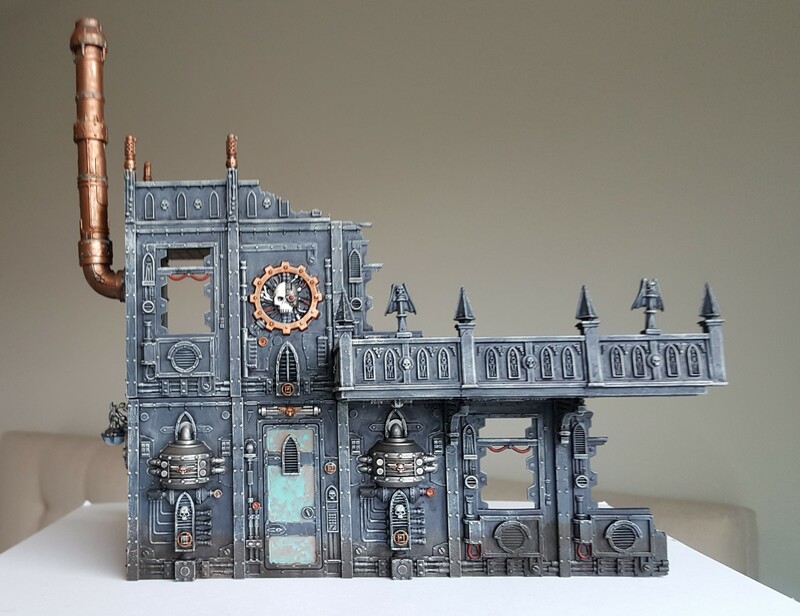 Bookmark Geektopia and come back for more articles on Building, Painting, Playing and Reading about 40K. Those painted minis are truly awesome! Great detail, and great photos of the detail.